How far have I come in this space of mine? Quite far actually. In fact, quite a proud improvement for my cooking and recipe sharing. However, not about copying recipes (Tomato Rice Pilaf, Moroccan Pea Soup & Baingan Bharta/Brinjal Mash). Actually, to tell you the truth, copying is not my ball game, though I admit I do refer to recipes. Recipes from anywhere for the matter and of course, these days, online videos and tv cooking shows are most marketed. If you are asking me, indeed yes and I guess its a good thing as well. We learn, we improve and we can along the way coin our own recipes. 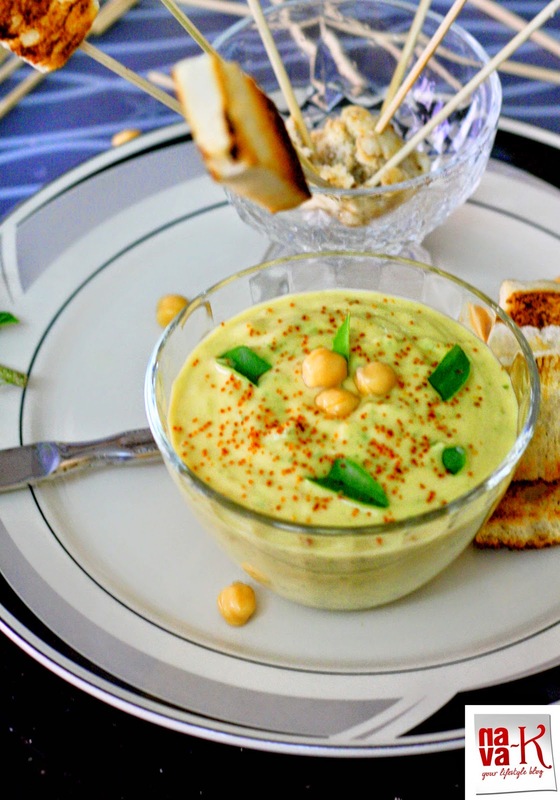 Take this Chili Hummus as an example. My own version. If you don't believe me, do your search please and I bet you will believe me. What is hummus by the way? Hummus is basically a dip (Sambal Terasi, Mango Chutney & Creamy Avocado Dip). 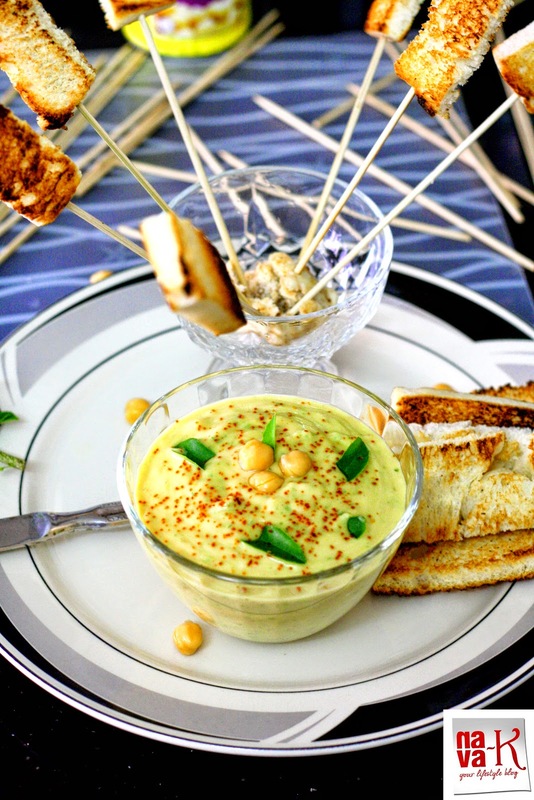 Dip for anything you like to dip in and we dipped toast into this Chili Hummus made in the blender. Ingredients for this my special style Chili Hummus? Chick pea, yogurt (Cucumber Yogurt Salad), chili flakes, olive oil and believe me, curry leaves (Curry Leaves Rice). Pulse/blend till smooth and creamy. And done to be served. Now that I call creative. Delicious dish. Wow..that is yummy..it will go well with falafel burger. .
Quick and creamy dip !! Hummus look so yummy ..Colorful too. Love the food shot, Nava! Looks like a party treat! Seriously Im in love With this recipe!! always used to see hummus plain and bland with lots of oil on top, now this is something too gud!! Saving it!! This sounds easy to make,mouth watering photographs! I adore hummus and have tried a few different ones at home. Curry leaves sounds exciting to me and the pale green also looks lovely. I will try this out soon. This is a very interesting combo! Very innovative! Love the color of hummus.. I am loving this... I will do this definitey and enjoy with pita made at home..